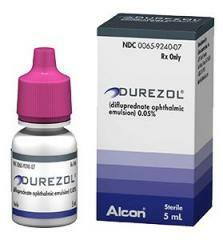 Possible Uses of Prelone: Prednisolone provides relief for inflamed areas of the body. It is used to treat a number of different conditions, such as inflammation (swelling), severe allergies, adrenal problems, arthritis, asthma, blood or bone marrow problems, eye or vision problems, lupus, skin conditions, kidney problems, ulcerative colitis, and flare-ups of multiple sclerosis. Prednisolone is a corticosteroid (cortisone-like medicine or steroid). It works on the immune system to help relieve swelling, redness, itching, and allergic reactions. This medicine is available only with your doctor's prescription. Before using Prelone: Tell your doctor if you have ever had any unusual or allergic reaction to this medicine or any other medicines. Also tell your health care professional if you have any other types of allergies, such as to foods, dyes, preservatives, or animals. For non-prescription products, read the label or package ingredients carefully. How to take Prelone: Take this medicine exactly as directed by your doctor. Do not take more of it, do not take it more often, and do not take it for a longer time than your doctor ordered. To do so may increase the chance for unwanted effects. This medicine comes with a patient instruction insert. Read and follow the instructions in the insert carefully. Ask your doctor if you have any questions. This medicine should be taken with food to avoid stomach irritation. Measure the oral liquid with the special oral syringe that comes with the package. The average household teaspoon may not hold the right amount of liquid. If you use this medicine for a long time, do not suddenly stop using it without checking first with your doctor. You may need to slowly decrease your dose before stopping it completely. 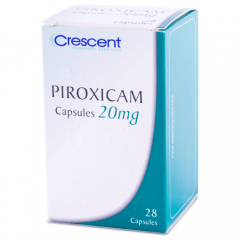 Precautions When Using Prelone: If you will be taking this medicine for a long time, it is very important that your doctor check you at regular visits for any unwanted effects that may be caused by this medicine. Blood or urine tests may be needed to check for unwanted effects. While you are being treated with prednisolone, do not have any immunizations (vaccines) without your doctor's approval. Prednisolone may lower your body's resistance and the vaccine may not work as well or you might get the infection the vaccine is meant to prevent. In addition, you should not be around other persons living in your household who receive live virus vaccines because there is a chance they could pass the virus on to you. Some examples of live vaccines include measles, mumps, influenza (nasal flu vaccine), poliovirus (oral form), rotavirus, and rubella. Do not get close to them and do not stay in the same room with them for very long. If you have questions about this, talk to your doctor. Side Effects of Prelone: Along with its needed effects, a medicine may cause some unwanted effects. Although not all of these side effects may occur, if they do occur they may need medical attention. Some side effects may occur that usually do not need medical attention. These side effects may go away during treatment as your body adjusts to the medicine. Also, your health care professional may be able to tell you about ways to prevent or reduce some of these side effects. Check with your health care professional if any of the following side effects continue or are bothersome or if you have any questions about them. Drug Interactions of Prelone: Although certain medicines should not be used together at all, in other cases two different medicines may be used together even if an interaction might occur. In these cases, your doctor may want to change the dose, or other precautions may be necessary. When you are taking this medicine, it is especially important that your healthcare professional know if you are taking any of the medicines listed below. The following interactions have been selected on the basis of their potential significance and are not necessarily all-inclusive. Missed dose of Prelone: If you miss a dose of this medicine, take it as soon as possible. However, if it is almost time for your next dose, skip the missed dose and go back to your regular dosing schedule. Do not double doses. Storage of Prelone: Store the medicine in a closed container at room temperature, away from heat, moisture, and direct light. Keep from freezing. Keep out of the reach of children. Other Information of Prelone: DO NOT SHARE THIS MEDICINE with others for whom it was not prescribed. DO NOT USE THIS MEDICINE for other health conditions. KEEP THIS MEDICINE out of the reach of children. IF USING THIS MEDICINE FOR AN EXTENDED PERIOD OF TIME, obtain refills before your supply runs out.